Why Offer a Price Promotion? Most authors do price promotions for exposure, and to boost their Amazon ranking. It’s not so much about the money, because the margins are razor thin, though I have worked with a couple authors who’ve had massive success and made some money. If you’re a self-published author and you lower your price on Amazon below $2.99, your royalty drops to 30% (which seems really low—and yet it’s still higher than the traditional industry standard royalty for e-books of 25%). Many authors do these campaigns to hit #1 in their categories on Amazon, which lends some cache to your book and is something you can claim as an accolade on press materials long after the promotion is over. How Soon Should You Offer a Price Promotion? Authors are anxious to sell books, and once you become an author it’s easy to succumb to the pressure to discount your e-book right away. I recommend against it. Give your book a chance to be out in the world for a little while—at least 3 months—at its full list price. Discounting your e-book can have the effect of driving readers away from your print book in favor of the e-book, and the sale will be just as effective a few months in as it is when your book is brand new. How Much Should Your Price Promotion Be? You’re doing a price promotion if you lower your price at all, but there’s a difference between a real price promotion, which means lowering the price of your e-book significantly over the course of a few-day campaign versus setting a new (and lower) price for your book. A price promotion campaign typically means running a 99-cent or $1.99 sale for 2-7 days. Many authors I work with permanently or semi-permanently lower their e-book price point (to say $3.99 or $5.99), but it’s not a price promotion if it’s indefinite. How Long Should You Run Your Price Promotion? Most of the price promotion campaigns I see authors running last 3-5 days. This seems to be the sweet spot, though of course you can go shorter or longer. The point of doing a price promotion is to engage your readership and to actually mount a campaign, so you need to be conscious of audience fatigue. For that purpose, I would recommend the sweet spot, and capping any promotion at two weeks. How Often Should You Run Price Promotions? This one is subjective and depends on a lot of factors, from who your audience is and how you reach them to the subject matter and genre of your book. Some genres (like genre fiction) lend themselves to these kinds of campaigns. If you have a book that has a good tie-in to an event or holiday, doing a campaign every year around that time may be a good call (ie, your WWII novel around Holocaust Remembrance Day; your motherhood memoir around Mother’s Day; your diet book around New Year’s). If you discount too often, you’re going to have a hard time getting new attention for the book. So I suggest two to three times a year maximum, and for many books once a year is enough. Obviously this is the most important point, and I see a lot of authors wasting opportunities by not doing enough preparation—and not selling many books during their promotion window as a result. To do a campaign really well, you want to hire someone to help you. There are marketing folks and publicists who know how to run price promotion campaigns. They’ll set you up with the requisite social media schedule, memes, and content campaign. Yes, you can do this on your own, too, but if you’re not savvy about how these things work, you’ll be ineffective. You can also try to qualify for BookBub, a platform that promotes discounted books to a huge database of readers. BookBub is selective, and they charge authors $45-$3,500 (depending on your genre and what price point you select). It’s also effective. The authors I know who’ve run BookBub campaigns have consistently sold thousands of books, and in a few cases tens of thousands. Whether you choose to do a price promotion on your own, with a team, or through a platform like BookBub, treat it as the campaign it is. Line up your newsletters, social media posts, memes, and all other marketing and publicity ideas well in advance. And if you have a publisher, make sure they’re looped in, as they’ll need to be the ones to change your e-book price. Price promotions are generally fun for authors. It’s an excuse to get more eyes on your book. It’s an opportunity to breathe fresh air into a book that may be a few months or year old. It’s exciting to watch your Amazon ranking and to be engaged with what’s happening with your book and to imagine your many potential new readers. So do it, have fun with it, and set it up right! Brooke Warner is publisher of She Writes Press and SparkPress, president of Warner Coaching Inc., and author of Green-light Your Book, What’s Your Book? and How to Sell Your Memoir. 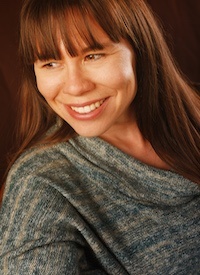 Brooke’s expertise is in traditional and new publishing. She is the former Executive Editor of Seal Press and currently sits on the boards of the Independent Book Publishers Association, the Bay Area Book Festival, and the National Association of Memoir Writers. She blogs actively on Huffington Post Books and SheWrites.com.